Recent generations of bartenders include figures who rise quickly through the ranks of a very competitive career. The modern bar industry offers opportunities that were unthinkable just a few decades ago. 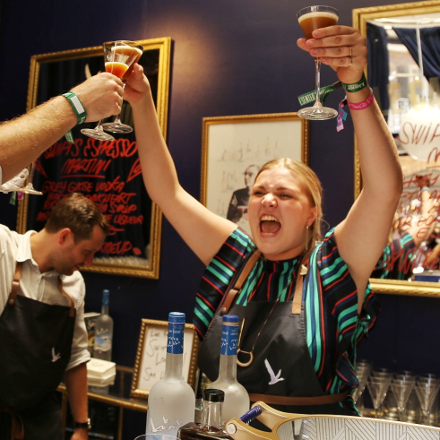 Today's bartenders step out from behind the bar much earlier, taking on managerial roles or serving as brand ambassadors for some of the most important players in the industry. Mattia Pastori is a steadfast example of this latest generation of Italian bartender. Born in a small city in Lombardy, Mattia was drawn to bartending from a young age, having spent time in his parents' bar. A magical world of shiny, colourful bottles and liquid mixtures created by his father. Mattia did his best to immerse himself in that world, populated by people with stories that were always new, different, never to be repeated. Mattia recalls, "There was a group of customers who would come every week for an apertivo. A man named Ubaldo made all the decisions. Before leaving, Ubaldo would book for the following week, deciding there and then what they'd drink for their next aperitivo. His manner made a huge impression on me. I was working in a hotel many years later when I bumped into Mr Ubaldo again. I was delighted to see this person who reminded me of the start of my career. When Park Hyatt sent me to America, to Miami, I immediately fell in love with surfing. The senior bartenders never let me work the evening shift, which would have allowed me to earn more tips. I had started paying for surfing lessons, but had to tell my teacher that I couldn't continue because I couldn't afford it any longer. He thought about it and said, 'Meet me in the water, I'll teach you for free!' 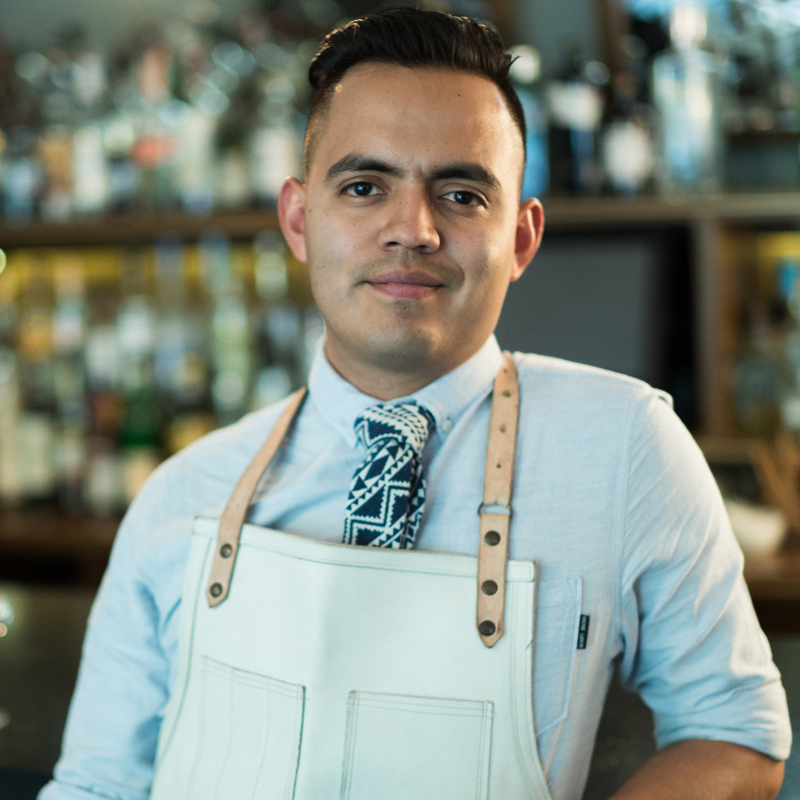 I've met exceptional people through bartending." 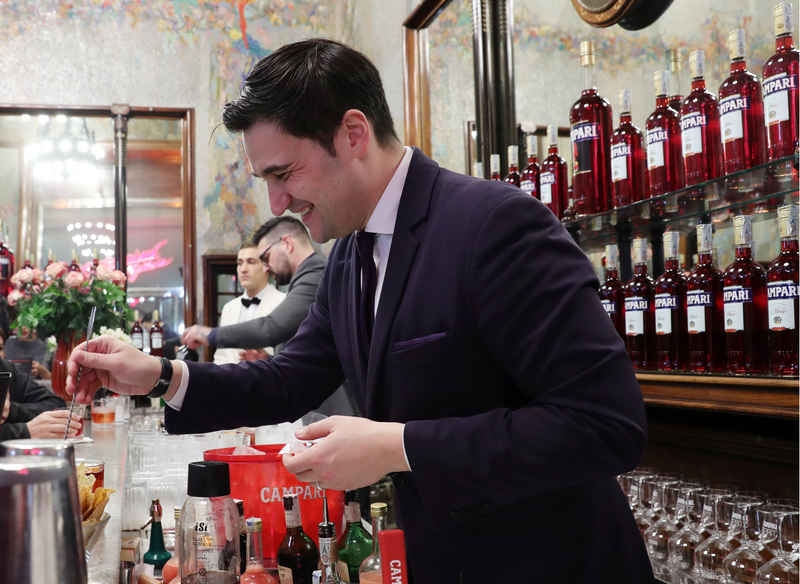 Today, Mattia is the outlet manager at Camparino in Galleria, Campari's iconic flagship bar in Milan, a place rich with history. It's a position laden with responsibility, impressive for a young man of barely thirty years of age. "Bartending has evolved at an extreme pace, blending cooking techniques and ingredients with more traditional bartending methods. But I do have a sense of nostalgia for the past. I grew up in a culture of professional associations. Bartending associations were global families, that took care to nurture their young carefully and gradually. They were families that shared everything, creating lasting bonds among people. We all had a mentor who served as a teacher, but also as a father and a brother. They taught me a sense of hospitality, elegance, what words to use in various contexts. Now I think things are far more individualistic. I have a sense of nostalgia for those times. My blog Non Solo Cocktails [Not Just Cocktails] shares my experiences on professional themes of general interest. 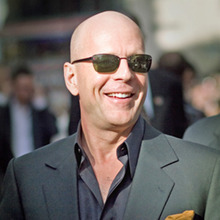 I would like cocktail culture to become a common practice at home, like cooking." Mattia was always fascinated by the history of cocktails, those stories that deserve to be passed on. "I remember when I started out, the Cherry Heering bottle, but at the time I barely knew what it was. It was one of the first products that caught my attention. History is an essential source of inspiration for my drinks. 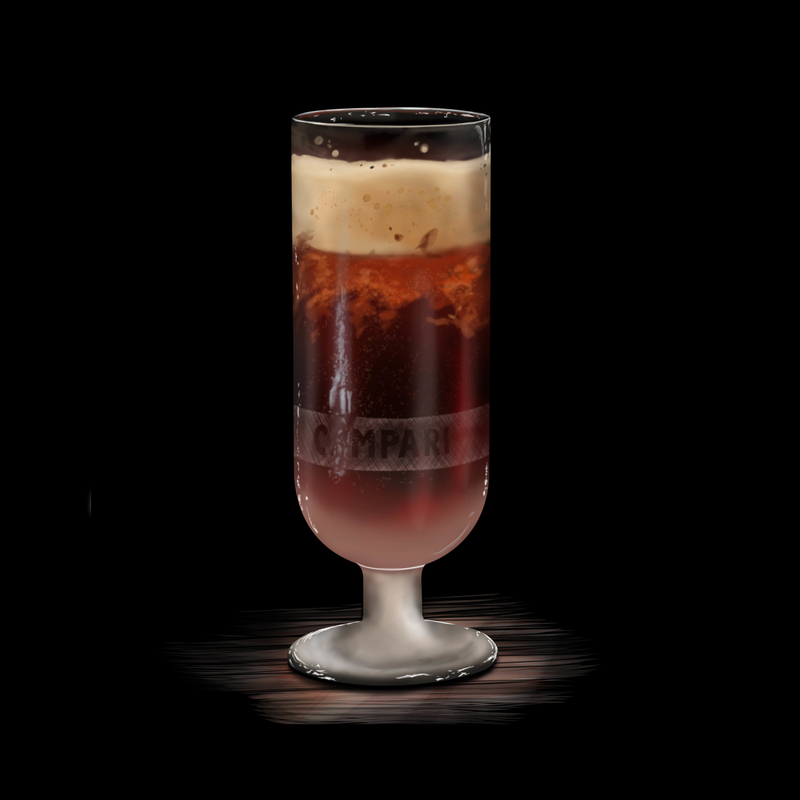 And this is certainly true of the drink I developed for the Cherry Heering 200 year anniversary, which was inspired by 1919." In 1919, "Arte Futurista", a large exhibition, was organised in Milan. Futurismo was an Italian artistic movement founded in 1909 by F.T. Marinetti. He based his own aesthetic concept on dynamism, on the cult of modernity and technique, a controversial contrast with all forms of artistic traditionalism. In 1931, "The Futurist Kitchen Manifesto" was published. It was written entirely by Filippo Tommaso Marinetti and also signed by the poet Fillia. It is a collection of Futurist thoughts, convictions and intentions relating to cuisine and gastronomy. As well as advocating for the elimination of pasta, the Manifesto preaches the abolition of the knife and fork, traditional condiments, food weights and volumes and table politics. He calls for the creation of 'simultaneous and changing morsels', inviting chemists to invent new flavours and encouraging the combination of music, poems and perfumes with the dishes. The "Arte Futurista" exhibition took place at 1, Manzoni Street, just two minutes walks from Camparino. Futurismo is the inspiration behind my drink. Method: Build ingredients in glass.